Downbeat, minimalist and bordering on an ambient ballad… it’s almost inconceivable now but, thanks to the open-mindedness of Eighties singles buyers, this beautiful piece of music reached number five in the UK charts back in 1981. 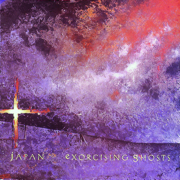 Taken from Japan’s final album, Tin Drum, this was basically their farewell single, with the group splitting up soon after and frontman David Sylvian forging further down the path laid out by Ghosts to this day. Culture Club’s take on Two Tribes, with all the attendant Cold War video imagery, The War Song was derided at the time for its pedestrian lyrics but has since gone on to surpass the group’s far deeper tracks, like Victims, to become a firm fan favourite. Culture Club themselves hate this fact – and wont be pleased by it making our Top 100, as they’ve tried to write it out of the group’s history, never playing it live and leaving it off their many “best of”s. The first of three appearances for Martin Fry and the boys in this list. There’s no doubting what a classic album The Lexicon Of Love was, but it’s still some feat that all three of its Trevor Horn-produced singles make our Top 100. 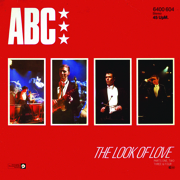 The Look Of Love charts the lowest 30 years later but, at the time, it was the group’s biggest hit, reaching number four in the UK in 1982. But you can forget about the video: it’s quite literally one of the worst of all time. The first UK chart entry for the New York City quartet came in 1981 with a single that encapsulated all that’s great about the group: a captivating video (which is now on permanent display at the New York Museum Of Modern Art, if you’re ever in the city), a startling rhythm section inspired by Fela Kuti, production by Brian Eno, and David Byrne at his creative peak – not least with the incredible Stop Making Sense live version that appeared in 1984. 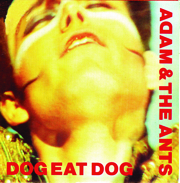 The first of two singles from Adam & The Ants in this Top 100. 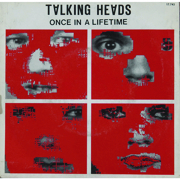 One of those defined their mainstream commercial success (more of that later), whereas this one was the soundtrack to a group crossing over from the outer reaches of punk to the mainstream acclaim of daytime radio. That was largely thanks to a hefty dose of advice from Malcolm McLaren and the original “big beat” sound – the dual drums of Chris “Merrick” Hughes and Terry Lee Miall.